LG has finally brought the G7 ThinQ flagship to India. The company is launching the G7+ ThinQ which has 6GB of RAM, and the phone will be available from August 10 at Rs 39,990, exclusively on Flipkart. At that price, the phone will compete against the likes of the OnePlus 6 as well as the Asus Zenfone 5z. The LG G7+ ThinQ flaunts a notch on top of a 6.1-inch ‘FullVision Super Bright Display’ with QHD+ resolution (3120 x 1440 pixels) at 19.5:9 aspect ratio and 564ppi. The display can hit a peak brightness level of 1000 nits (under certain conditions and for specific content) and is also HDR10 compliant. The G7 ThinQ is a glass sandwich with a metallic rim between the panels which have Gorilla Glass 5 protection. The phone has IP68 rating for dust and water resistance, and LG it meets the MIL-STD 810G durability standard. 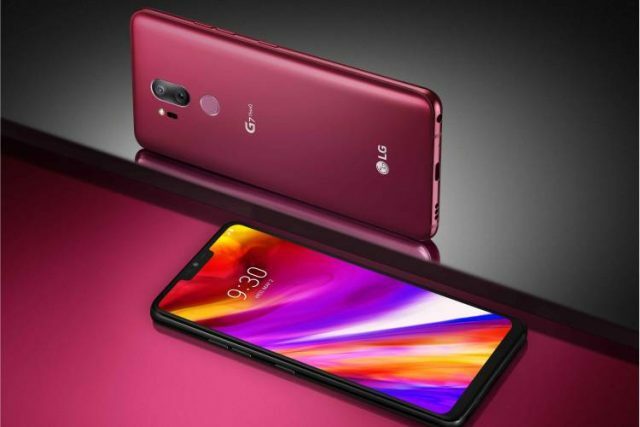 The LG G7 ThinQ is powered by the Qualcomm Snapdragon 845 processor, paired with 6GB of LPDDR4x RAM and 128GB of UFS 2.1 storage, which can also be expanded up to 2TB via a microSD card. One of the highlights of the phone is the dedicated Google Assistant button, which is definitely handy if you use it a lot. You can tap and bring up the virtual assistant or hold the button down to talk to Google Assistant. One thing you can’t do with it is remap it for other apps or functions, which is a huge disappointment. The G7 ThinQ packs a dual rear camera set-up consisting of a 16MP Super Wide Angle (F1.9 / 107°) sensor paired with a 16MP Standard Angle (F1.6 / 71°) unit, alongside an 8MP camera up front. The ThinQ in the name means LG has integrated an AI CAM feature, which presents 19 shooting modes and employs algorithms to automatically adjust camera settings for different scenes. The G7 ThinQ also comes with a feature called Live Photo mode which saves one second of video before and after clicking a picture to capture live images. Portrait mode, OIS, laser autofocus and facial recognition for generating 3D camera effects are also on board to match other flagships. 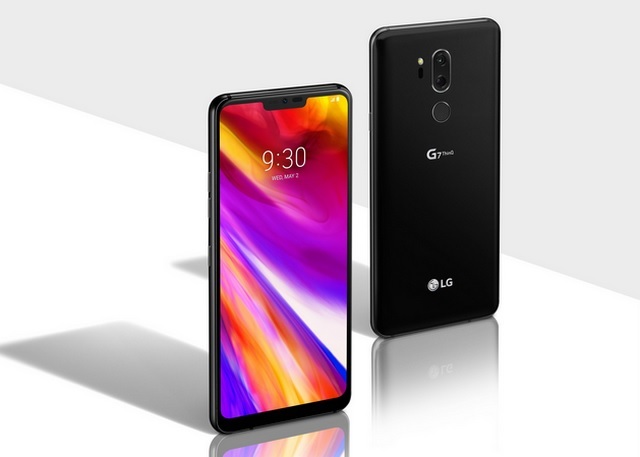 The G7 ThinQ is the first LG smartphone to come with the Boombox Speaker stereo technology, and also comes equipped with a 32-bit Hi-Fi Quad DAC chip from ESS to deliver unmatched audio quality. The LG flagship features a 3,000mAh battery and has support for Qualcomm Quick Charge 3.0 charging technology, while Android 8.0 Oreo handles things on the software side.